Many people come across unusual occurrences in their homes or in their offices. The problem is that most of the people do not know how to detect the presence of a haunting or paranormal activity. Instead of ignoring the signs, it is a better idea to know what signs indicate paranormal activity. This would, in turn, help you in detecting the paranormal presence in time and thereafter taking corrective measures. 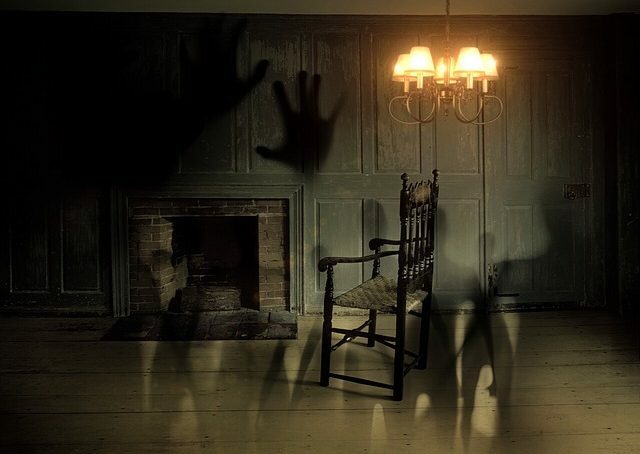 We would today share with you 4 different signs which can indicate that your home might be haunted. This is the 1st and foremost sign and it is often dependent on your gut feeling. When you’re coming across the feeling of being consistently watched in a particular area of the property or in a particular room, it might indicate that there is a paranormal entity that is monitoring or watching you. Many times, you can hear the sound of someone breathing or moving around you. This might also be accompanied by the sound of someone whispering as well. These sounds can often indicate that someone is standing in the proximity. When you look around you would find that no one is in such close proximity. Many times, when you’re alone in that property, you might get goosebumps and the hair on your neck as well as on your hands might stand up. This also indicates the presence of static electricity which is one of the main signs of detecting any kind of paranormal presence. Normally, in a property, the temperature remains constant throughout the property. If at all, it decreases in a certain area of the property or certain direction of the property, it decreases pretty gradually. However, if you suffer from a sudden decrease in temperature in a particular area of the property, that can indicate paranormal presence as well. Also, this variation is against the normal outside temperature. Thus, this is one of the most obvious ways in which you would be able to detect the presence of a paranormal entity. So, if you really want to find out whether the property which you own consists of any haunting or paranormal activity, you have to always look out for the signs. The signs would help you take a concrete decision as to whether there is any paranormal activity on your property or not.